Single story custom floor plan with beautiful hardwood floors, large rooms, 3 skylights, french doors, vaulted ceilings, & central air. Upgraded with custom fireplace, Hunter Douglas window coverings, and Anderson windows. First class all the way. Spacious gourmet kitchen includes dual dishwasher, beautiful cabinetry, newer appliances, & large center island. Large master suite has walk in closet, and custom shower. 4th bedroom has beautiful built in office space. 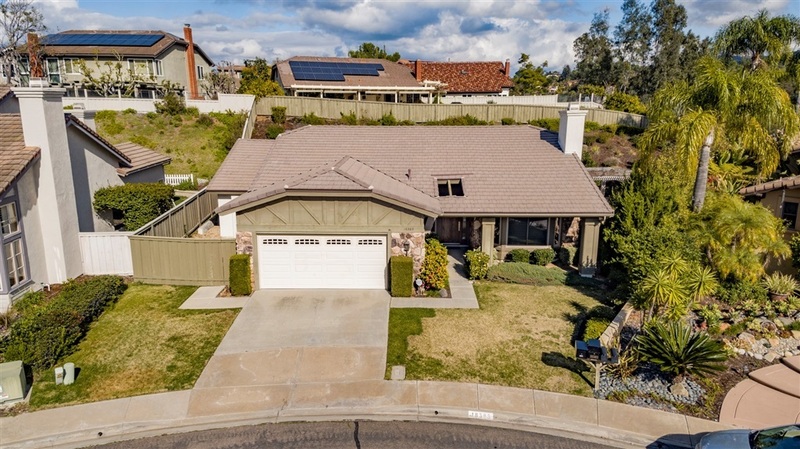 Quiet location, and Poway schools!